While we are still unsure of the exact cause of rosacea, we have long known that it is directly linked with underlying inflammation. Genetics certainly play a role in the development of inflammatory skin diseases like rosacea, but external factors can also have a considerable impact on symptom flare-ups. One such external factor is your diet, including both the foods that you eat and don’t eat. Adjusting your diet isn’t a cure for rosacea, but it can help you to manage your symptoms and better control flare-ups. For rosacea sufferers, certain inflammatory pathways within the body become “turned on” as a result of various triggers. When this happens, capillaries become dilated and “leaky,” causing the redness, warmth, and discomfort associated with a flare-up. Once these pathways are turned on, it is very difficult to turn them back off, because they cause a chain reaction that turns other pathways on in a vicious cycle. You can learn more about inflammation and its effects on the skin in this blog. Because inflammation is such an integral component of rosacea, one way to help calm its symptoms is to adopt an anti-inflammatory diet. Most anti-inflammatory foods are high in omega-3 fatty acids and low in sugar – two key components of an effective rosacea diet. 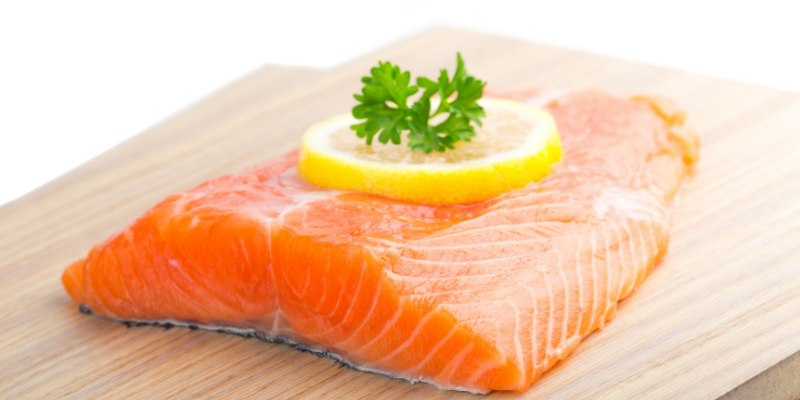 Omega-3 fatty acids have been shown to help reduce inflammation, while high sugar content can trigger inflammation. Diet adjustments won’t make rosacea go away completely. Adopting an anti-inflammatory diet can help to reduce the number and severity of flares you have, but it’s not going to cure your rosacea. Experiment to find what works for you. Not everyone will react the same way to every trigger, so do some experimenting with dietary changes to see what works for you and what doesn’t. For instance, some people may be able to tolerate drinking hot coffee better than others. Moderation is key. It’s not realistic to aim to completely eliminate certain foods and drinks from your diet. If you are going to indulge in a glass of wine or a sugary treat, do so in moderation. Work with your dermatologist. Pair healthy lifestyle and eating habits with the right treatment options. Talk to your dermatologist about Rhofade™, a once-daily topical cream available by prescription that helps to control redness. Making small dietary adjustments can have a big impact on the amount and severity of rosacea flare-ups you have. Try adding and removing some of the foods from the lists above to help you figure out which foods might help and hurt your symptoms, since everyone is different. Then work with your dermatologist to find a treatment plan that works for you to complement your dietary and lifestyle changes. For more information about caring for sensitive skin and managing rosacea symptoms, be sure to follow Baumann Cosmetic Dermatology on Facebook, Instagram, and YouTube.